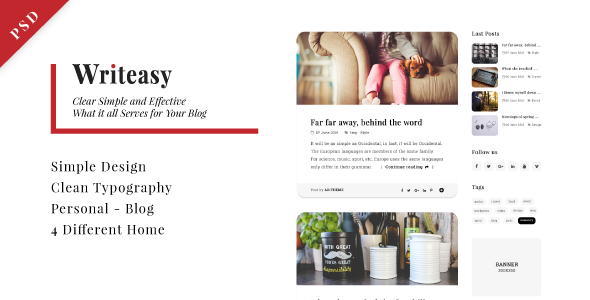 Writeasy is a personal PSD Blog for Writing. It’s designed using an elegant design. The PSD is organized in groups and levels each of which is editable.